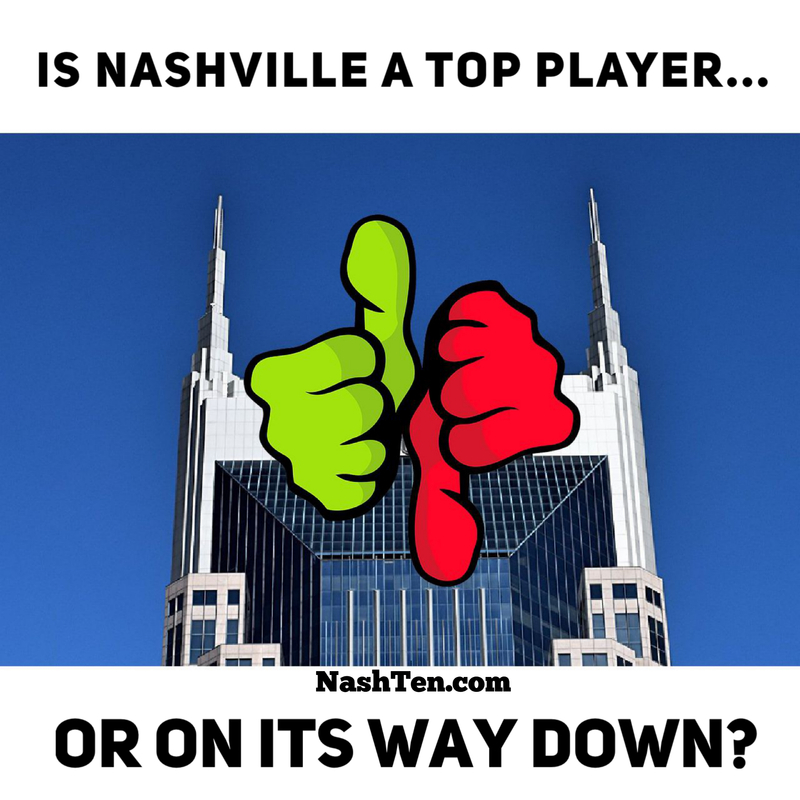 Is Nashville A Top Player Or On It's Way Down? 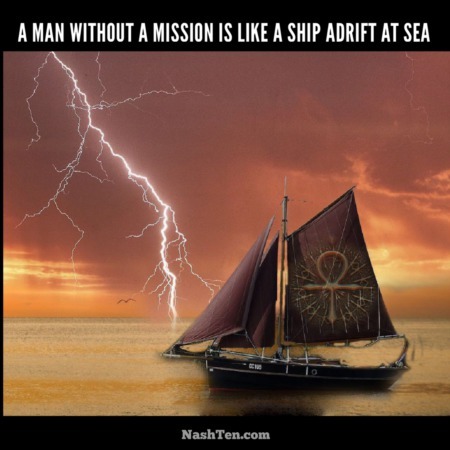 I’ve written frequently about the coming changes to the Nashville market. Today, I want to share something 100% positive. You may have seen the story in the Tennesseean on Wednesday about how Nashville leaps ahead of Seattle and Los Angeles to be a top-five real estate market. It’s true. The experts put Nashville near the top of the list. Here’s what that means. 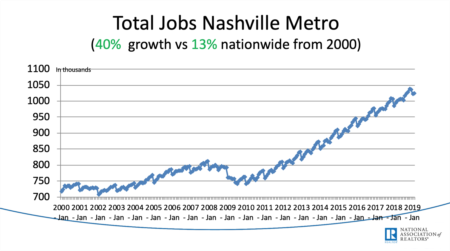 Even if we have a recession like the one that started in 2007 (and no one is expecting that), Nashville is still one of the best places to be in America. The end result is that we will fall shorter and bounce back faster than the rest of the country. Like we did in 2012, but with with a bigger economic engine driving the recovery. If you didn’t read the story or the ‘Emerging Trends in Real Estate’ report it was based on, you probably missed these facts. And these report doesn’t address all of the other things that make living here so attractive like: quality of life, low taxes, cost of living, entertainment, activities, the climate and having great people like you for neighbors. I want to emphasize that this is no ordinary report. It is a combined effort by PwC (Price Waterhouse Coopers) and the Urban Land Institute. This is the 40th edition of the report which is known as one of the highest regarded and widely read forecasts in the real estate industry. The Daily Deal in Nashville is one of Gretchen’s listings in Spring Hill. This better than new home features all-brick construction in an estate-style home with a fabulous kitchen for less than $370,000.